New year, new… concept of completed? I spent most of 2016 feeling that things were out of control. Primarily this was down to events in the wider world; the political shocks in the UK and the US, terrorism, war and the desperate situation of millions of refugees. None of these are things I have any real ability to influence so in the words of Reinhold Niebuhr, I’ve been seeking the grace to accept with serenity these things that cannot be changed (while continuing to shout at the news and rant at my husband each and every time I read a newspaper). But in the same vein, I have been looking for the courage to change the things which should be changed. And for this, I have to address the mess and chaos at home. Since their birth in 2010, I have used my twins as a convenient excuse to explain away the general untidiness of my home. I am too busy looking after them to tidy and children are mostly mess makers. This was very much true when they were babies, and mess and chaos of the toddler years nearly finished me off, but it’s not so much the case now. Even so, the house remains a mess. Kinder visitors to my home have described it as “lived in”. Even as I type these words I am cringing in the knowledge I’ve generally spent at least an entire day clearing up before their visit, and that “lived in” is the best I can hope for even after pulling out all the stops. The untidiness at home is not helped by my personality – I have long known that I am a serial starter of new things and not a completer finisher. It’s like a switch goes off in my head when I’ve 80% completed a project and suddenly it’s lying unfinished and forgotten, and I’m off onto the next thing. Sometimes this is circumstantial, like when I think I’ve got enough time to finish something before the start of the school holiday and a child gets ill and the school holidays start in a rush several days earlier than expected. But mostly I just do it to myself; by simply getting bored and starting something new or generally getting distracted. How often have I thought “ooh I’ll just cast on to see how the yarn works in the pattern” only to find myself several inches down the leg of the second sock, trying not to dwell on the wip I abandoned for this one, but also thinking “I wonder if that poncho pattern would work in that new yarn I bought last week”, before caving and casting on the poncho. But I’ve been finding this behaviour increasingly frustrating. There have been plenty of occasions this year when I’ve wanted to get involved in a KAL but have taken a look at the wip pile and realised I just can’t justify it. Then when I see all the finished pieces others have produced, I feel sad because, now the KAL is finished there is virtual chance I’ll ever get to make the item. Also, this behaviour means a lot of unfinished stuff lying around cluttering up the place. This never used to bother me, but earlier this year, tiring of the mess, I resolved to Konmari my house (this is a way of tidying that asks you to consider every item in your house and ask yourself whether it sparks joy). This started straightforwardly enough. I deposited car loads of clothes, shoes, ornaments, toys, baby equipment and books at our local charity shops and donated still more to the jumble. I dragged long forgotten boxes from cupboards and threw out endless phone charges and other electrical paraphernalia. I Ebayed chairs and tables and cupboards and decided that the country cottage look we had going on just wasn’t for me, and I was going to go where my heart lead towards the simplicity of scandi living with a mid century twist, irrespective of the fact we actually live in a country cottage. But none of this made any real difference to the levels of clutter in my home. In fact, and it seems ridiculous to say it, but all this tidying actually made things worse as I often neglected the day to day stuff (like filing the enormous amounts of paperwork we continuously accumulate). And so, I’ve been forced to confront the true reason for our perpetually messy home. And it’s me. Or more specifically my inability to finish anything. I can’t even finish the tidying! So I’ve been analysing this aspect of my craziness and I’ve come to the conclusion that I usually think I’ve finished a task several steps before it is actually complete. The laundry is a good example of this. It should be obvious when the laundry is complete – when the dry clothes are folded and neatly put away in the drawer. However, sometimes my head will tick off this item on my mental to do list, when I’ve merely folded the clothes but not yet put them away, so they languish for ages, usually in a basket on the stairs or the spare room. Sometimes my head does this at the point where I drag the clothes out of the tumble dryer and put them in a basket. When this happens the basket usually ends up in the living room, and often, I’ll need the basket to gather more dirty laundry so I will empty the clean (still unfolded) laundry onto the couch where the children will spend a couple of days sitting on it, and using it as cushions and blankets, before it occurs to me I’ll need to fold it (and, by now, iron it or sometimes even wash it again) and get it upstairs into the drawers. If it were just the laundry, I could probably live with it. But it manifests itself in the way I’ll cast off and block a shawl but won’t ever get around to sewing the two ends of yarn in. Or that I’ll vacuum but not put the vacuum cleaner away afterwards. Or that I’ll load the dishwasher but take days to get around to the handwash items. And, in countless other ways. I’m not proud of this behaviour. I’m just putting it out there, (partly in the hope that I’m not the only one. Please tell me I’m not the only one!?). So for 2017, I’m resolving to fully finish tasks. All tasks. This might take a while as there are almost 46 years worth of unfinished tasks to get too. But, specifically, I’m going to finish all my yarny projects, and then I’m going to use up my stash. Yes, you heard me say it, I’m going to USE UP MY STASH. 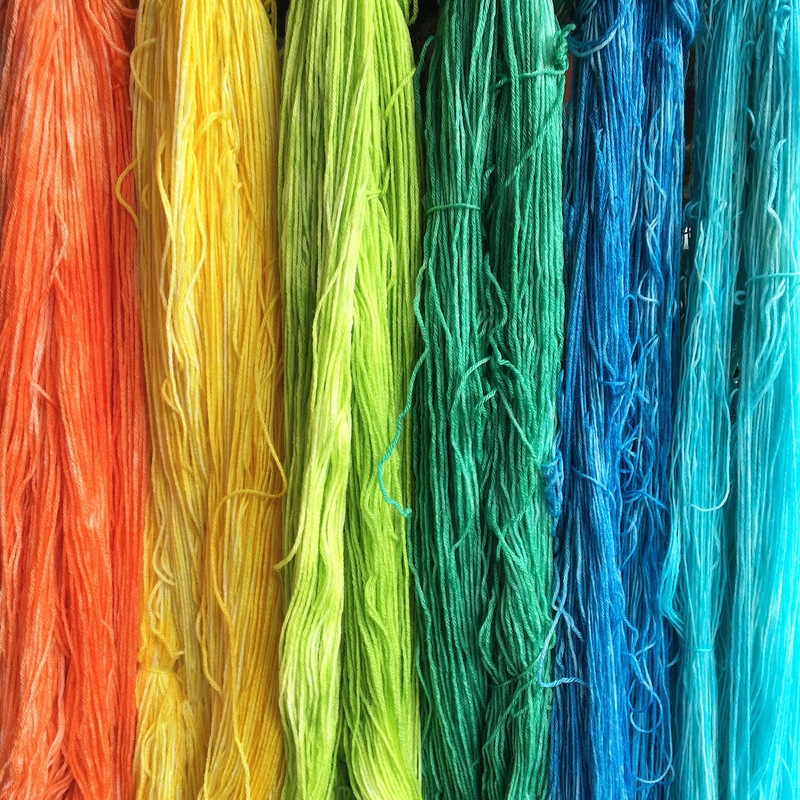 I may also be opening an Etsy shop to sell some of the yarn I’ve dyed myself but which I’ll never get around to using. 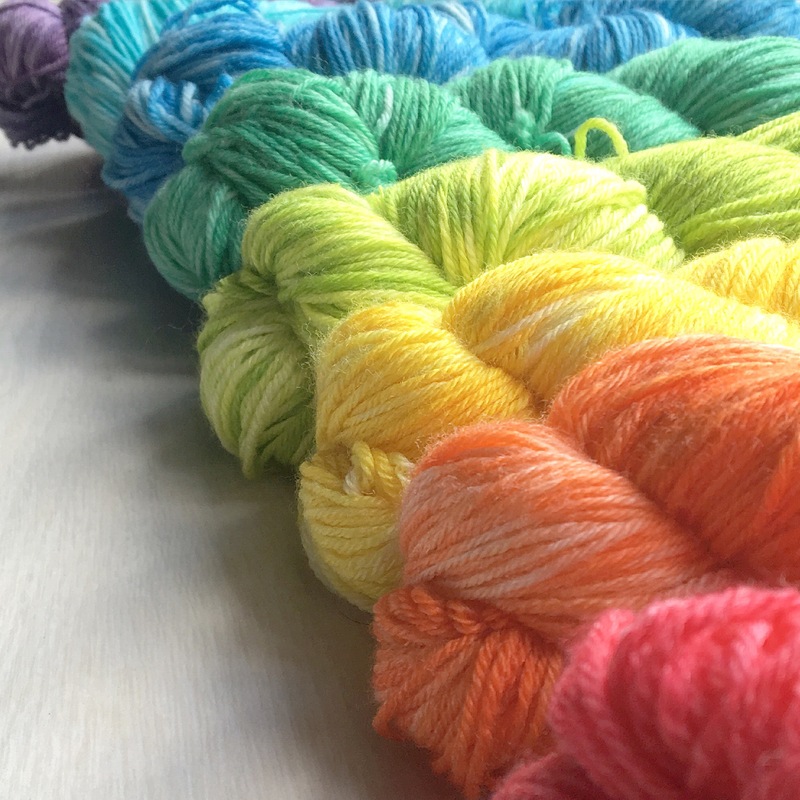 The using up of my stash also means not adding to it, so I’m cancelling my yarn clubs (sob!) and will not be buying new yarn at yarn shops or shows (how? how?). In tandem, with this I’m going to do the same thing with my fabric stash. I’m also only going to work on one wip at a time, and am not going to start the next thing until I have finished the first, and that includes sewing in the ends. This will be quite a challenge for me as I do always flit from one thing to another. But earlier this month, I gave myself a test. I knitted a pair of mittens from start to finish without picking up another project. 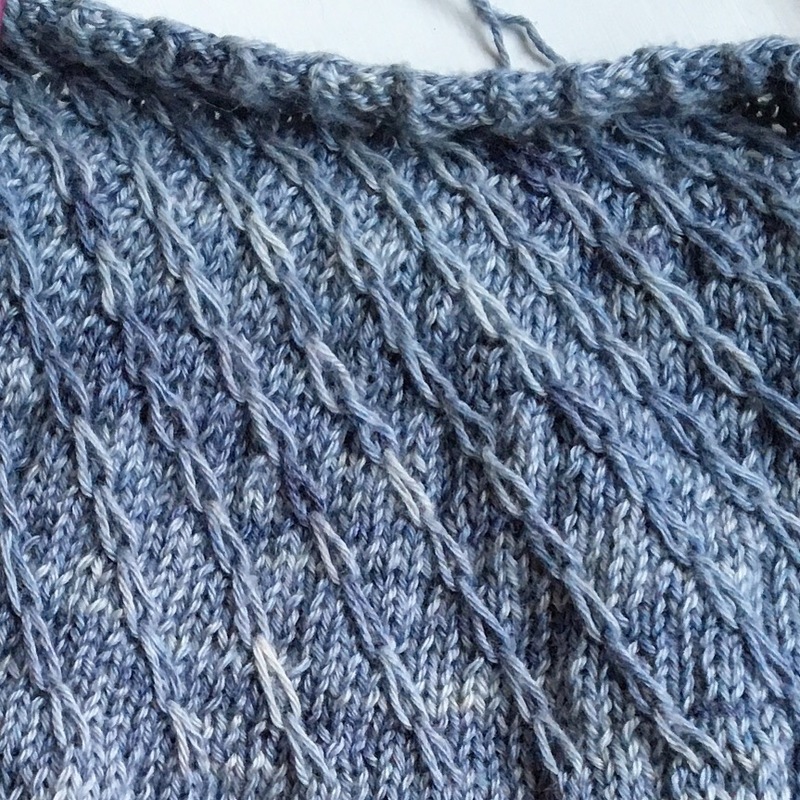 They were an easy knit, just stocking stitch, in DK yarn so they didn’t take forever, but I enjoyed the focus and felt huge satisfaction in completing a project, so hopefully more of that feeling will spur me on. So, here’s to a tidy (tidier?) house and mind, in 2017. We had such a great summer holiday this year. Two lovely long weeks of sun, fun on the beach, playing in the park, cousins, scooting, chips, ice cream, sea glass, ammonites and dinosaurs (well, actually icthosaurs and plesiosaurs but my children are a bit to young to know the difference) with the bonuses of a big dollop of knitting and a unexpected trip to ﻿Bridport Yarn. I’m always on the look out for a yarn shop. I rarely go anywhere without checking out the surrounding area (and if it’s a long way, the route too) for yarn. We’ve been known to detour for miles, with the kids bleating “are we nearly there yet?” on a 10 second loop all the way interspersed with “I’m bored”, screaming in frustration and beating each other, in search of an elusive yarn shop. There is a direct correlation between the length of time since I was last in a yarn shop and the time and distance over which I am prepared to endure this torment (and the amount of £££ I spend but let’s not dwell on that). But in the chaos of term ending and packing for the holiday, I never quite got around to it. 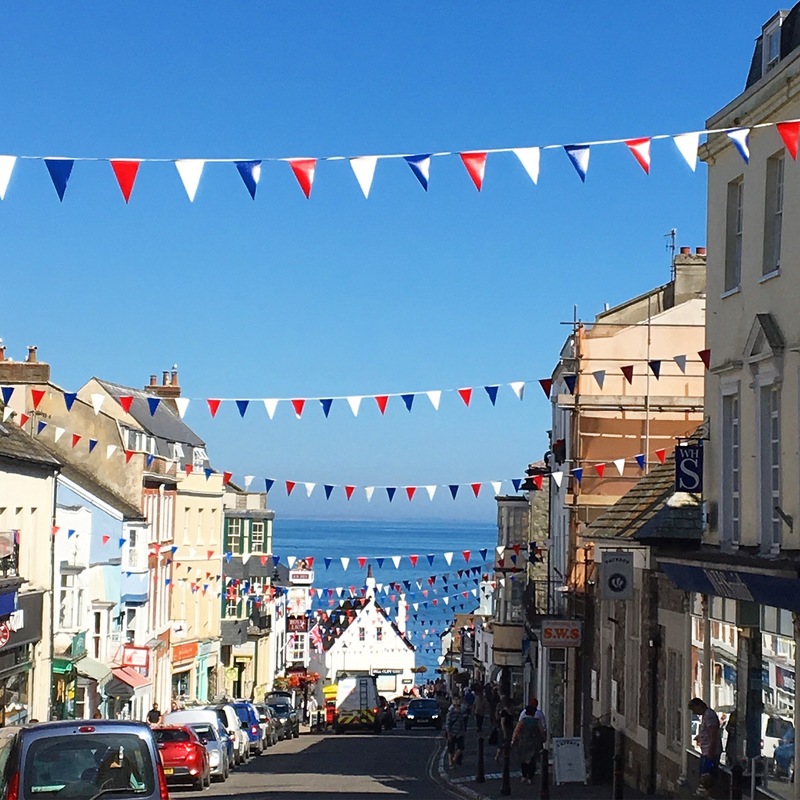 And it must have been the blissful feeling of finally being back in my beloved Lyme Regis that soothed by yarnoscope, because it took me a few days to come around to musing that the one tiny imperfection with the town was a lack of a yarn shop. And then I remembered in a light bulb type scrabbling for phone and wifi signal moment that I hadn’t done my research. So you can imagine how thrilled I was when I discovered that Bridport Yarn was just up the road. So a trip was hastily arranged. My sister in law came along for the ride. She not a yarnie – I think she came for amateur anthropological research reasons aka why is my brother’s wife so nuts about yarn?, that and the fact that it was a chance to get a quick coffee and a couple of hours off from the children, who went with my husband to the park. So, Bridport Yarn! The website (here) looked encouraging. 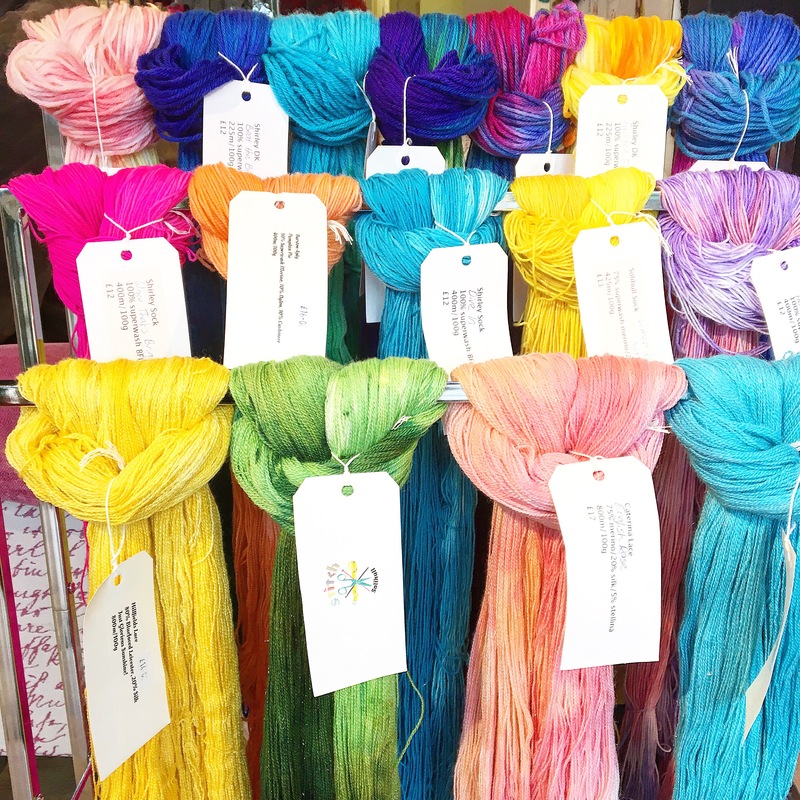 I like any shop that has ethical principles and their ethos of trying to offer yarn which is “British, local and fairly traded – sometimes all three!” speaks to my soul. And, the shop itself did not disappoint. It was nestled amongst a nice assortment of independent stops in the way you only find in places where you are far enough from big urban centres to make rents reasonable, or where the majority of the town is owned by some large landowning estate who doesn’t necessarily need to squeeze every penny from the property to pay interest on his over leveraged assets. Already soothed by the lack of thrusting chain stores (there are some on around the corner on the main road but only a scattering) we gazed at the splendid window display and entered. And, joy of joys, we had stumbled upon a knit and natter session. It was so nice to hear the relaxed conversation of the ladies while they knitted, had my sister in law not been with me (and had I not been conscious of the fact my husband was left entertaining 4 children aged under 6), I may have drawn up a chair and joined them. However, I settled for a quick chat with the lovely ladies and together we all cooed over their current projects including a very special first ever project of a hot water bottle cover, in a gorgeous pale blue yarn, which was particularly charming as the newbie knitter had make some mistakes but rather than frog several rows of hard fought stitches, she had merely deliberately repeated the mistake at intervals such that it looked like it was intentional. Genius! Here are the lovely ladies. The shop stocked a nice mix of hand dyed and commercial yarns in a variety of fibres and an array of pretty colours, all prettily displayed, as well as the most gorgeous buttons (which I didn’t buy but I have been itching for them ever since). Alas the owner wasn’t there but the shop assistant was friendly and helpful. They say a picture is worth a thousand words so I’ve included several of the shop and it’s goodies here. I bought two balls of lovely Juniper Moon Farm lace weight yarn, even though lace is just not my thing at all, because, that colour! It just needed to be in my stash. I also bought a couple of long circular needles which were a totally legitimate necessary purchase as I needed them for the hat project – see more on this here. Bridport Yarn is situated on South Street in Bridport, Dorset, a few minutes drive from the A35. 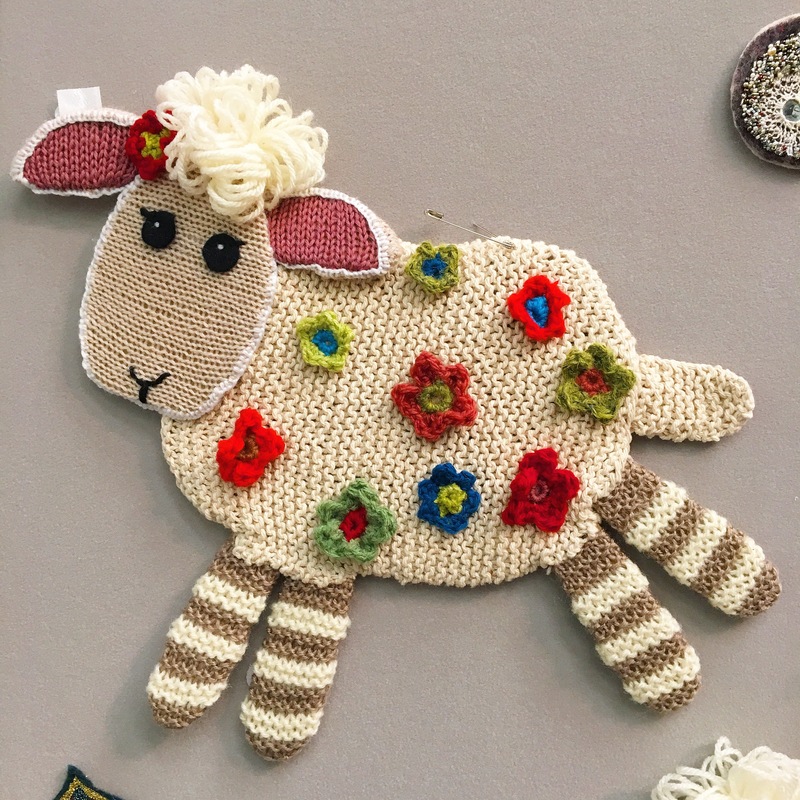 If you are passing on the A35 on your way further east or west or if you are holidaying near by, I would heartily recommend it as a great place to get a yarnie fix. I wish I lived closer. I’m already looking forward to my next visit. I was caught out by a flat tyre late one evening last week, and to my horror I discovered I did not have any yarn craft with me. My crafting is usually fairly portable. It’s quick and easy to pop needles or hook and yarn in a bag and, with all my patterns stored on my iPad, I’m off! In fact I almost always have a small portable project in my bag just in case I find myself unexpectedly waiting somewhere. But not this evening. 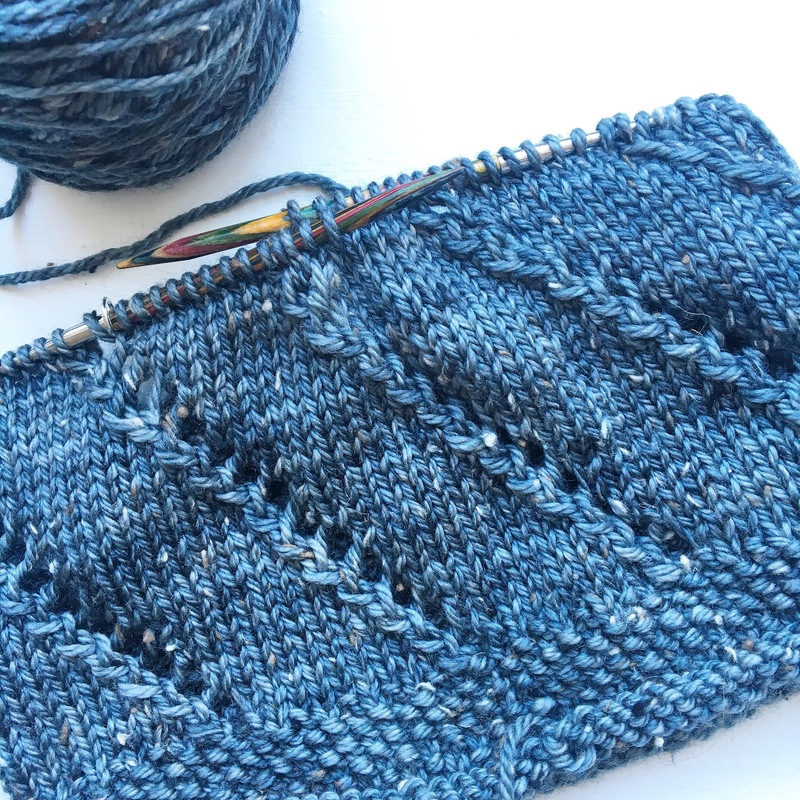 I had to endure a wait for rescue without the calming comfort of yarn and needles or hook. For the last year or so, my portable project has been my Cuddlebums Yarn shades blanket. 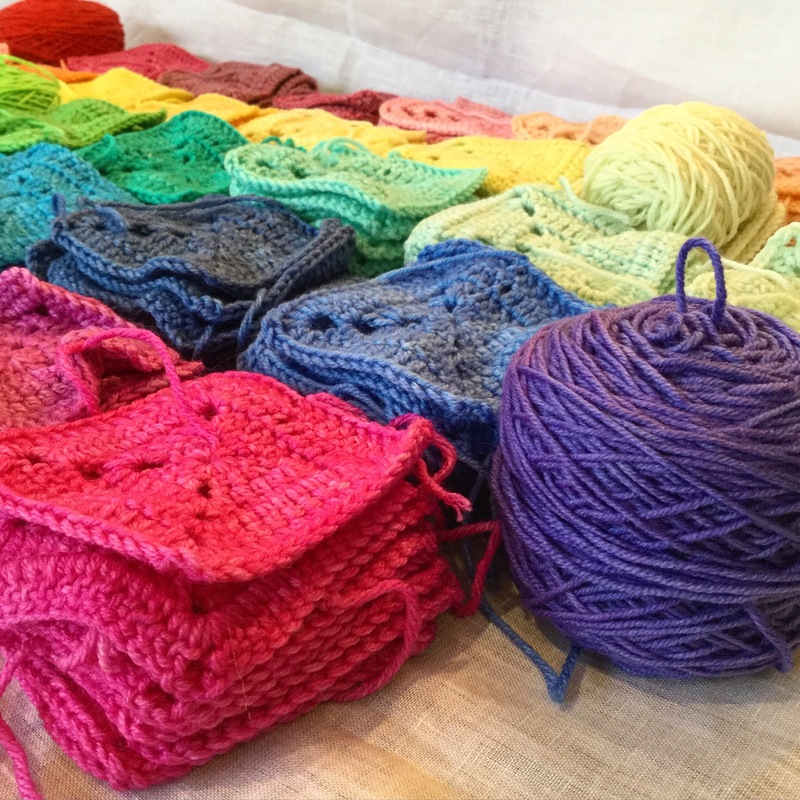 Each month I would receive four balls of lovely colour from Jodi and would pop one ball at a time in my bag until I found odd scraps of time to crocheted it into squares, and then I replace the completed squares with the next ball and so the project continues. Because of this I’ve been quite relaxed about delays and inconvenience, as I know I can just whip out my crochet to pass the time. Making squares is a brilliant portable project because they take up so little space, and require very little concentration. You just have to remember to stop when you get to the requisite size of square (in the early days of this blanket, I frequently overshot and had to frog back but, the longer the project has gone on, the better I have got at paying attention just enough to stop at the right point). 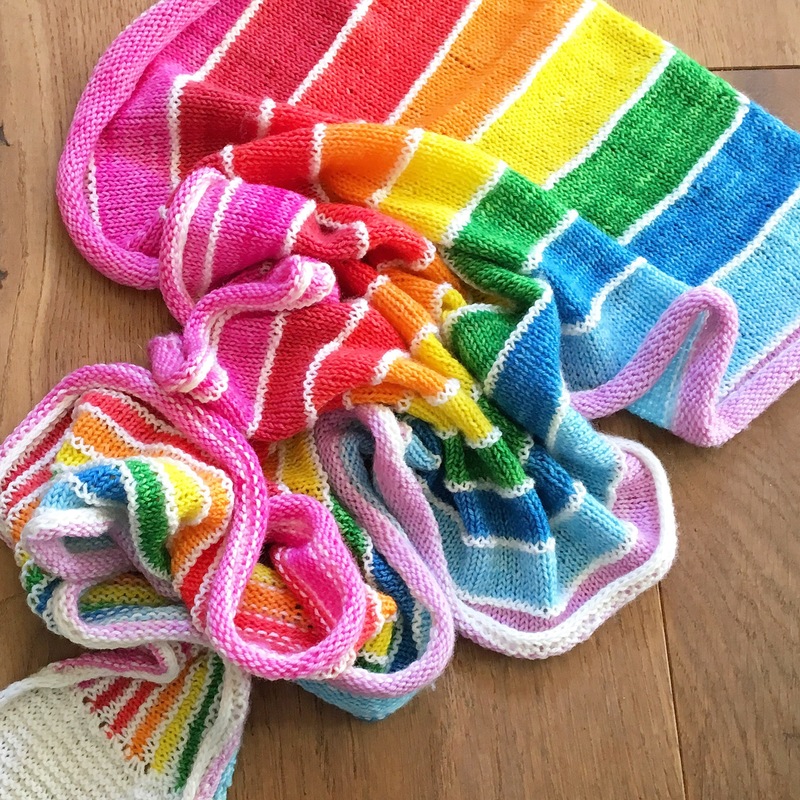 And because you are making the squares in time which would otherwise be wasted, you can, over some months, produce a blanket without it feeling like a huge and daunting undertaking. In this case, I’m making two blankets, one for each of my children; they will be almost the same but will also be subtly different. A couple of weeks ago, I finished crocheting the last of the balls of colour (a gorgeous purple), which is why I didnt have anything to do when I got the flat tyre. So now, I will need to start on the blanket assembly. As you join the squares together, this naturally makes the project much less portable so it will become a stay at home project to be worked week on in my evenings. I’m sad to see the end of these squares and, for the sake of my sanity should I get another puncture, I will need to seriously think about what my next portable project will be as I don’t have one ready and waiting. Everything in my yarny pipeline is either too complex or too bulky to make an ideal portable project. In the meantime, I’m turning my attention to sewing in all the ends on the crocheted squares (and wondering quietly to myself the entire time, why I didn’t sew them in as I went along. There are approximately 800, give or take). I also need to decide on a joining method and an edging and this will necessitate a trawl through Ravelry and my various books and pamphlets so it is a subject I will need to come back to another day. Right now my focus needs to be Project Portable! I’m going slightly off topic this week. Still craft but not yarn craft. Instead I’m talking flowers. Those of you who have come to this blog via my Instagram feed will already know of my love of flowers in general. But this week, I’m getting specific with a love of flower crowns. Some of you will know I work for a couple of hours each morning in a fabulous florist near my home called Green Parlour, owned and run by the very lovely Emma. 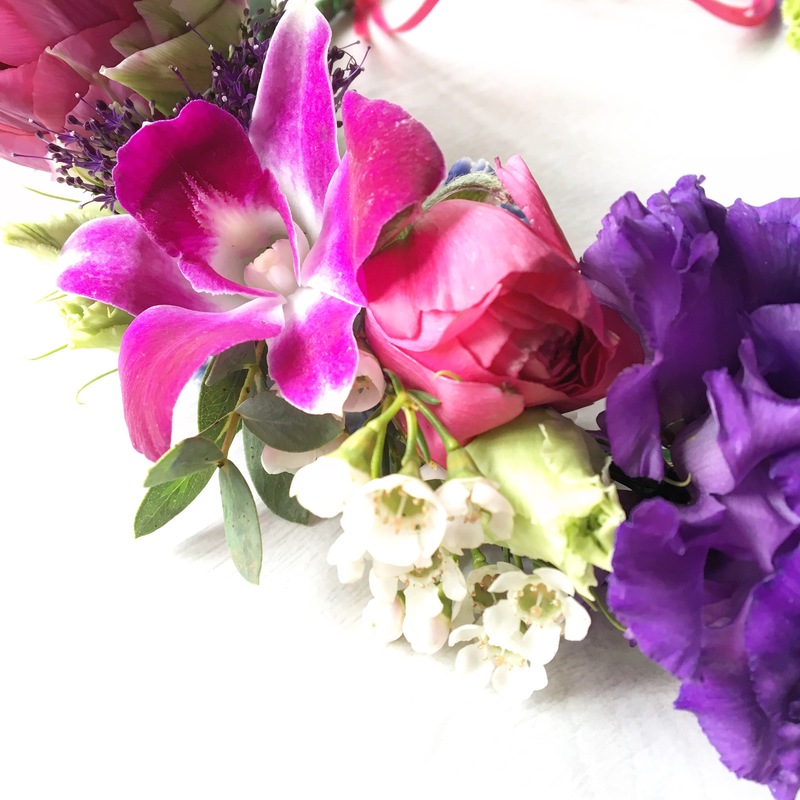 As well as making gorgeous hand tied bouquets and selling pretty plants to the residents of Pangbourne village, she runs all sorts of fab floral workshops (see here for details) and when I saw she was running a flower crown workshop I jumped at the chance to go. Flower crowns aren’t something you see a lot of outside of weddings and festivals but, amongst younger women, they are growing in popularity (my children now call their teenage cousin The Flower Girl because she once, ages ago, wore a faux floral crown, and they haven’t forgotten it, such is their lasting impact) and I wanted to learn to make one, because, well, I like to learn new things. The workshop was on a Saturday afternoon and it was lovely to escape the usual chaos of my weekend for a couple of hours to sit in the calm of the flower shop and play. There were three other ladies on the workshop, all of whom had floral experience or had been on several workshops before. One of the ladies was looking for ideas for her daughters wedding flowers which was very exciting. We started by learning to wire our flowers. Emma explained that wiring is a declining art because of the fashion for loose more naturalistic florals but they are still used in button holes and, in flower crowns. To wire a flower you need to remove most of the stem and attach a wire either by piercing the actual flower or by placing a wire next to the remainder of the stem and taping the two together. By this method you give each flower a faux wire stem. The advantage to this over keeping the natural stem is that the wire stem can be bent so this allows the flower to be positioned exactly where you would like it. You need quite a lot of flowers to make a flower crown and wiring them, especially when you aren’t used to it, takes quite a lot of time. Eventually we all thought we had enough flowers wired so it came to crown construction. This involves taking a length of flexible wire measured to fit your head and starting at one end, lie the flowers along the wire so the flower stem lies on top of the wire. Then tape the flower to the wire. Lay the next flower head on top of the bit you’ve just taped with the stem lying the same was as the first flower, tape and repeat until you’ve covered the whole length of your wire. Make a loop at either end of the wire , add a ribbon tie and viola! Flower crown! If you are thinking of making your own flower crown, you need consider that the flowers aren’t in water, and so they do fade quite quickly. This means you would need to make your flower crown on the same day as you were wanting to wear it. If I were to do this again (and I almost certainly will because it was so pretty), I would probably use more orchid flowers as they’ve lasted for a few days, while everything else was looking quite floppy by the next morning. If you didn’t want to try a full flower crown, a few orchid flowers glued to a hair comb would be a very pretty accessory and this is one I’m definitely going to try just the next time my orchid produces some flowers. I hope you’ve enjoyed this change of scene this week. Next week I’m sure we will be back to yarn craft as I’ve been busy doing some more dyeing that I’m keen to tell you all about.